ON Hwy 14, at the south bound onramp from Dawn Rd. 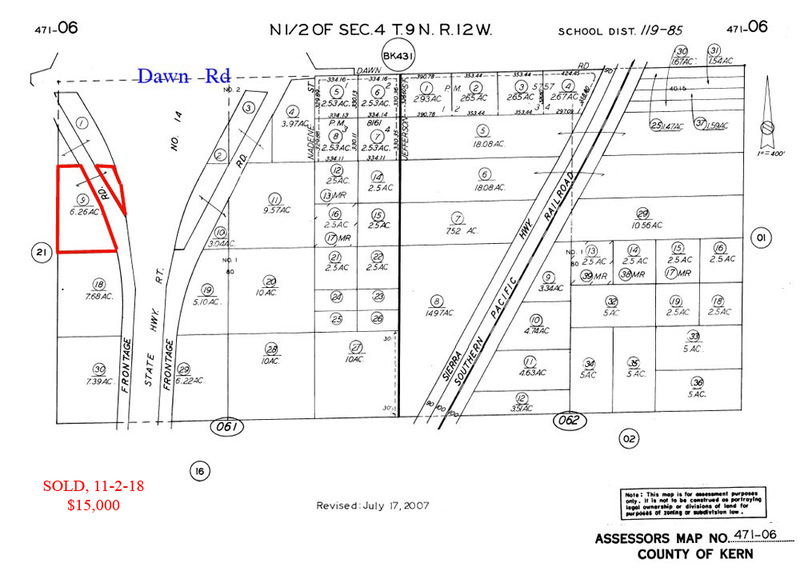 Unique 6.26 acre parcel, that from Dawn Rd, fronts both a road and a highway onramp. 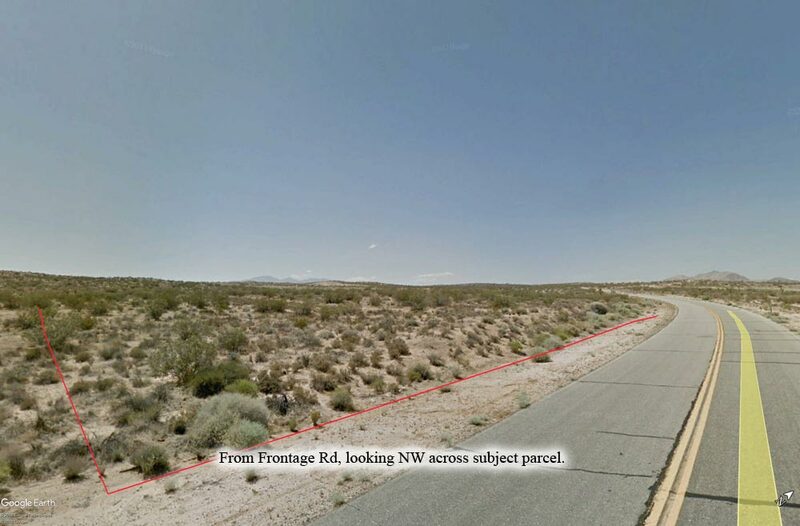 Located 2.5 miles north of Rosamond and 10 miles south of Mojave. From Dawn Rd, parcel fronts Frontage Rd and the Hwy 14 southbound onramp. Zoned A 1 by Kern County. Present zoning would allow residential use. No utilities to parcel at this time. Parcel is flat and is only 12 miles from Lancaster. Just a few miles north is the Mojave Airport, THE manufacturing leader of spacecraft that will commercialize space travel. Scaled Composites of Mojave has already built and flown into sub-orbital space its well-publicized SpaceShipTwo. SSTwo will transport paying passengers into sub-orbital space some time in 2019. Big money is involved in this venture. Northrop Grumman now owns Scaled Composites and Virgin Atlantic, an airlines owned by billionaire Richard Branson, has signed on as a joint venture partner. Parcel is an interesting low cost speculation. Buyer and buyer’s agent to verify all information provided herein by listing broker. Anyone inspecting, or walking on the property, off the road, should be aware that rattlesnakes and other desert wild life could be in the area. Be careful and use common sense! From Palmdale, take the Freeway 14 north towards Rosamond. 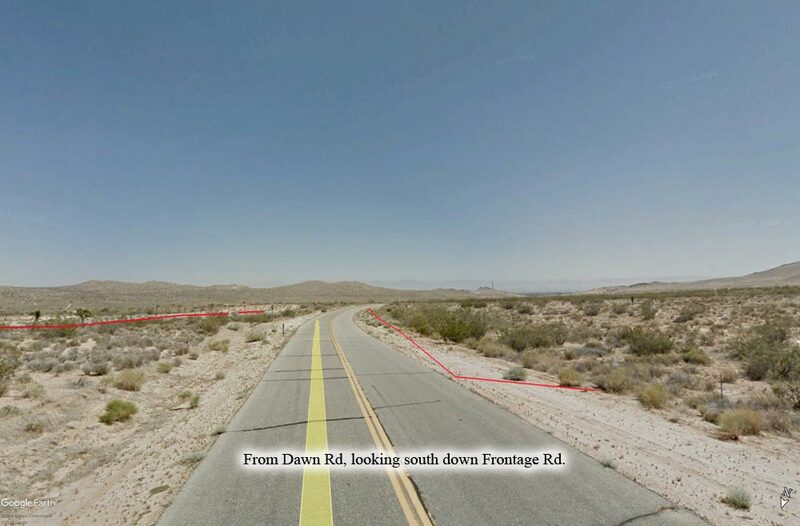 Pass by Rosamond, and within 2.5 miles you will see Dawn Rd exit signs. Exit at Dawn Rd. Go west on Dawn Rd, going over the Hwy 14, for 1/4 mile to Frontage Rd, which has a street sign. 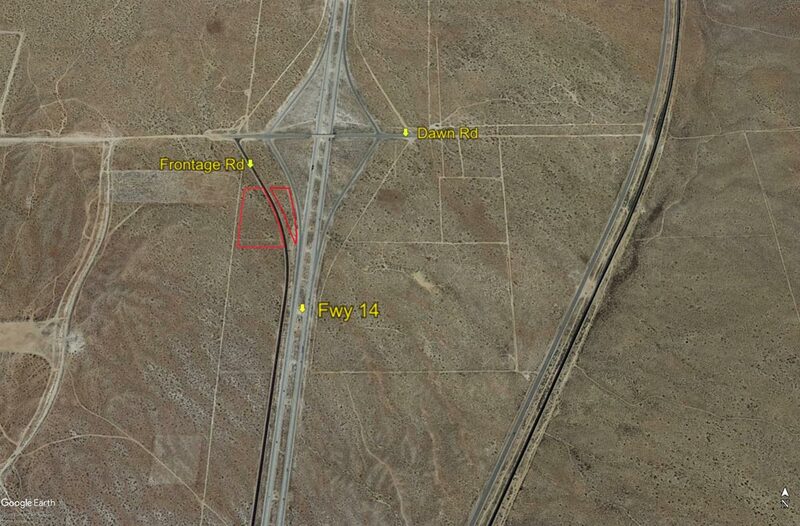 Subject property is 660 feet south of Dawn Rd, on Frontage Rd. 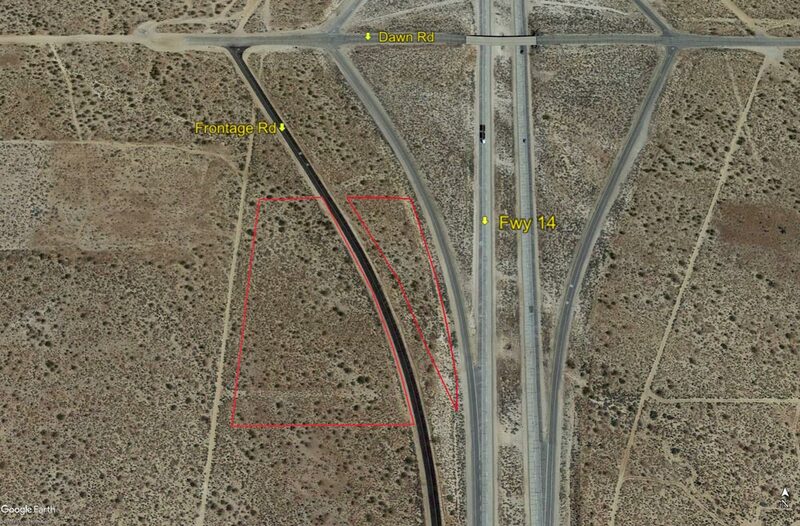 Second portion of parcel is across Frontage Rd and fronts the south bound onramp to Hwy 14.